Almost one year ago to the day, DJ Mag published a Women In Dance Music issue. I know, because I edited it. We put New York-born, Paris-based techno DJ/producer LOUISAHHH!!! on the cover and filled the 24-page supplement with stories from some of dance music's key (male and female) figures. We’d already covered women consistently and devotedly in every issue of the mag over the last 25 years, but it felt like the right moment for something bigger, something braver. Much to my delight, the response to our Women In Dance Music issue was overwhelmingly positive, as I took the opportunity for us to use our UK print mag as a vessel for some overdue, female-focused discussion. It seems no better time, then, to reflect on how far we've come since February last year — and what should be our next move. We've seen a significant rise in dialogue about gender equality in dance music over the last 12 months, perhaps (in some small part) thanks to that very issue. From panels, to production workshops, to all-female collectives and big money brand initiatives, it seems like diversity in dance music is finally being taken seriously. For me, the idea for that particular mag spawned from a deeply-rooted ignorance about the many pioneering women present throughout dance music history, something we’re still trying to combat daily, and a point made even more crystalline by DJ Mag's Top 100 DJs poll. Back in September 2015, we asked each of the DJs in the (publicly voted for) poll the same question: ‘Why aren't there more female DJs in the Top 100 DJs poll?’. While many of the responses to the question were admirable, others were, convexly, utterly despicable. It’s important to note that DJ Mag’s Top 100 DJs poll has been classically dominated by men — last year, three women made the (publicly voted for) poll. In response to the question, some male DJs said women just weren't as technically gifted as men, or thought women were more interested in shopping at make-up store, Sephora, than mixing records. Most upsetting was the consensus that maybe girls just "weren't that interested" in dance music in general, leading men to be oversubscribed in many sectors due to a grossly uneven candidate pool. And that got me thinking. We know sexism exists, not just inside dance music, but within almost all walks of modern life. We also know many, many women are interested in dance music — 10% more women than men attended music festivals in the United States in 2016, for example. In Britain, women are now outperforming men in schools, but we're yet to see this reflected in salary stats or prosperity estimates for those who don't attend higher education. Women still have their reproductive rights dictated to them: abortion and the Morning After pill are still taboo topics and subject to government controls (and don't even get me started on Trump). 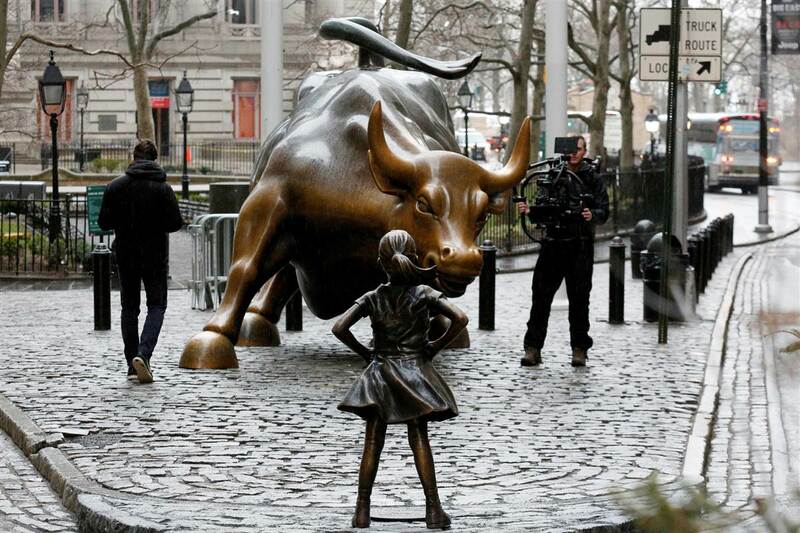 Women are still largely shutout of boardrooms while top CEO roles are filled by men, though State Street's installation of their bronze girl statue in front of Wall Street's Raging Bull yesterday is the strongest top-down stand up to corporate sexism I've seen for a while. But whose responsibility is it, really, to moderate the diversity divide within dance music's fold? Whose responsibility is it to be our own top-down force for change? As a female editor at a leading dance music magazine, I've often wondered how I would have felt if being female had been a deciding factor in my employment, if a more talented, more deserving man had missed out in favour of a more diverse working environment. And if this was the case, would that bother me? The answer: probably. But would I turn down the role? Absolutely not. With this in mind, I feel more strongly than ever that it is the responsibility of corporations, of magazines, of booking agencies, of management companies, of the business minds in our community to enforce an even 50/50 split. Public bodies like the BBC, civil service and some private companies (Channel 4 et al) all enforce an even employment split, and thanks to policies like this, most modern Brits wouldn’t bat an eyelid to see a female police officer as part of a squad or a newsroom of female hacks at a local paper. Is it time to implement these kind of controls in dance music? It’s apparent that the previously mentioned misguided men in DJ Mag’s (publicly voted for) Top 100 DJs poll still see female DJ/producers as something “other”, as something abnormal, as some kind of rare and (thanks to all the make-up) beautiful bird of paradise. Therefore, surely it’s the responsibility of dance music’s money-wielders to make women “the norm”, with the goal that eventually the ideals of equality and inclusion on which dance music was founded will trickle down — here’s hoping. The main aim of our Women In Dance Music issue was to promote dialogue about this very subject — I’ve always vehemently opposed the idea that talking about sexism only makes the divide bigger. I’m proud to say that at DJ Mag, we’ll continue to talk about diversity until it no longer requires a discussion — and we’re certainly not there just yet. It’s thanks to this kind of community-wide debate that our industry is more transparent than ever about the challenges faced by women in music, and to me, it’s never been a better time to be a woman in the dance music industry. But what we need now is more tangible action. So here’s my challenge to you: If you see a female DJ in a club, find out her name and follow her on Facebook, support her music and pay for her productions. If your favourite label doesn’t release enough/any music by women, ask them why on social media. If your female mate wants to learn to DJ, encourage her, support her and make her feel welcome — because sometimes it’s tough to be bold in a room full of men. 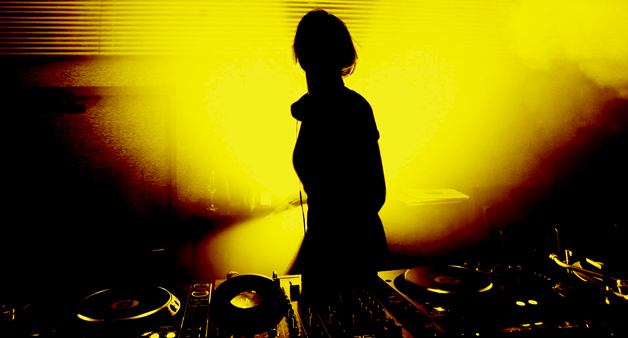 But most of all, reach out to women in dance music who you find inspiring, and tell them so. One of the biggest things holding back feminism as a movement in the minds of men is this antiquated idea of infighting. You know the idea that women don’t support each other and that secretly we all just can’t get along. So let’s (metaphorically) join hands and raise a glass to the future, it feels like we’re half way up the hill — I’ll race you to the top. Charlotte Lucy Cijffers is DJ Mag's digital editor. Her favourite DJs are Helena Hauff and Detroit Swindle and she's also a closet Martin Garrix fan. You can follow her on Twitter here. Charlotte will moderate the Changing The Tide: How To Promote Diversity in Dance Music panel at Brighton Music Conference on Friday 28th April at the Brighton Dome, Brighton. Listen to DJ Mag's International Women's Day playlist here. Women In Dance Music Diversity Top 100 DJs Louisahhh!! !